A range-restricted species (EOO 30 km²). 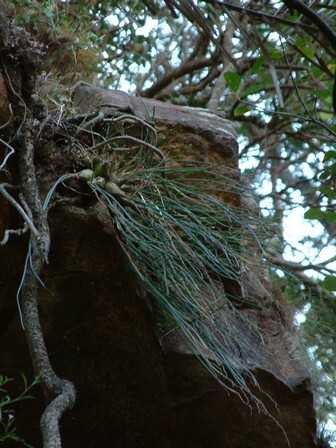 Grows on cliff faces where it is protected from serious threats. Cliff faces, south or south-eastern aspects, in dry or permanently moist conditions and in shady as well as exposed situations. Edwards, T.J., Crouch, N.R. and Styles, D. 2005. 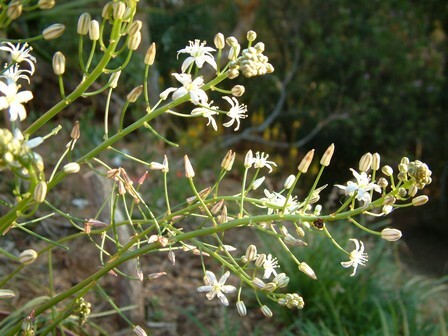 Drimia flagellaris (Hyacinthaceae): a new discovery from KwaZulu-Natal. South African Journal of Botany 71(1):122-126.